Panthers close gap late but run out of gas in KVAC B game. 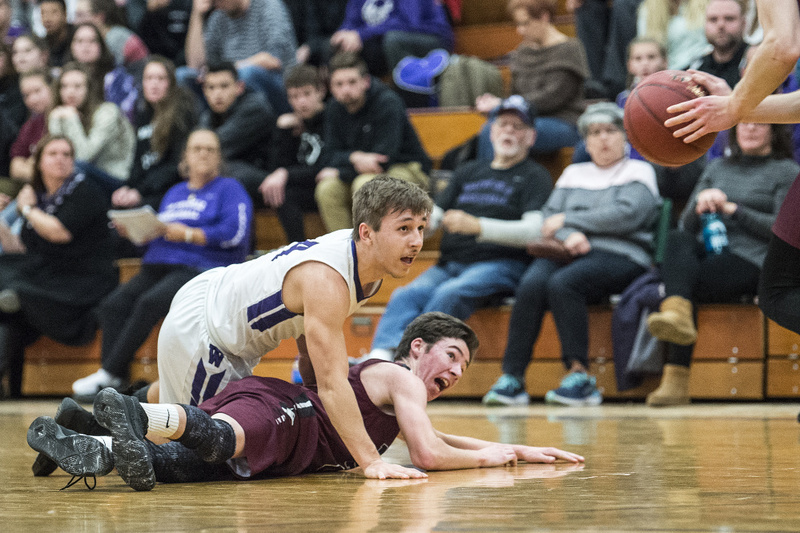 Staff photo by Michael G. Seamans Waterville's Jack Lloyd, right, gives a head-fake to Maine Central Institute's Vasilije Vojvodic (32) on Wednesday in Waterville. 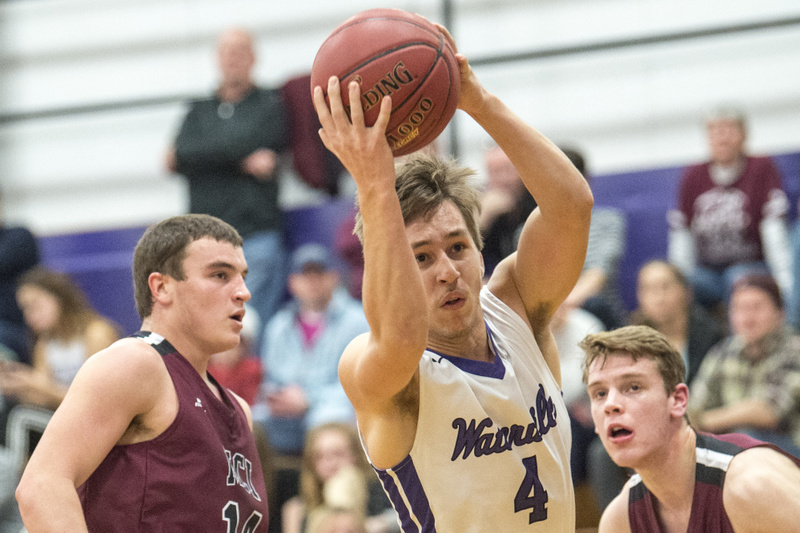 WATERVILLE — A deep bench and options inside and out were all Maine Central Institute needed to hold off an improving Waterville team Thursday night. 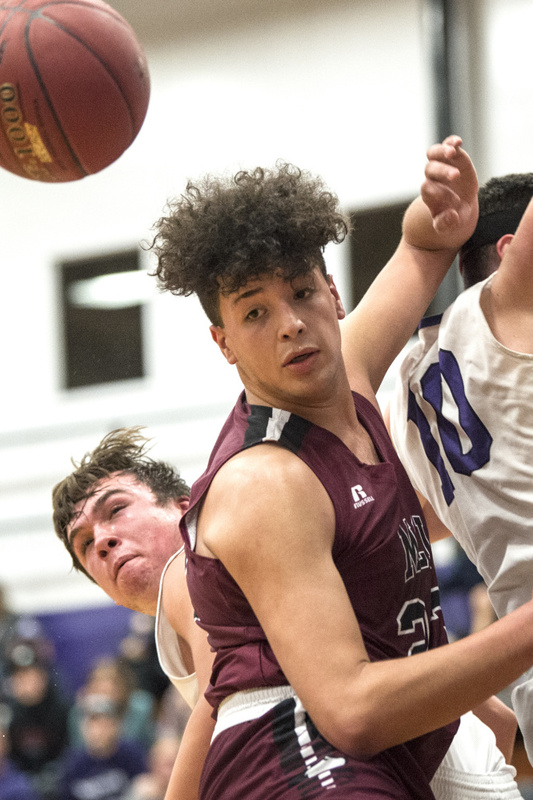 Sophomore guard Owen Williams scored a game-high 23 points and big man Jose Ignacio Montes Valverde bounced back from first-half foul trouble to fortify the Huskies’ paint presence, and MCI held off the Purple Panthers 56-49 in a Kennebec Valley Athletic Conference Class B game at Donovan Gym. 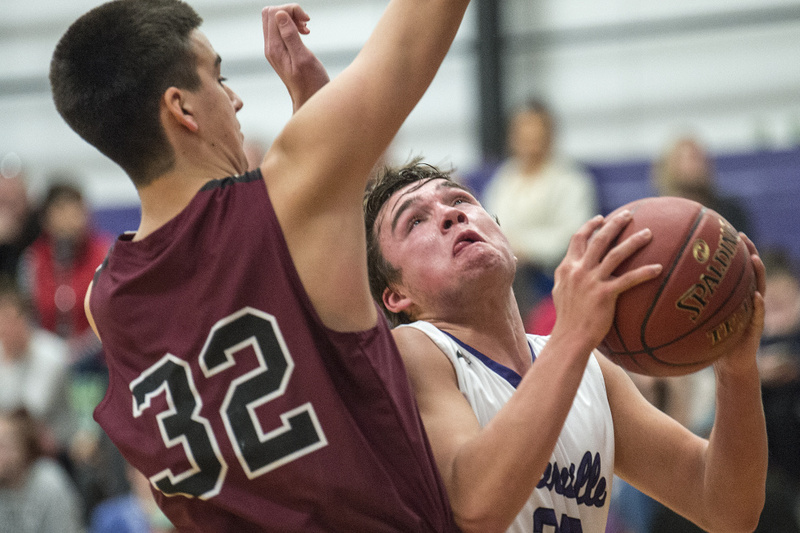 Williams made a key free throw with under 30 seconds remaining to end Waterville’s comeback bid once and for all. After racing out to an early 16-5 lead in the first quarter, MCI found itself in foul trouble. The junior Valverde sat for most of the second quarter and early in the third, too, as the fouls piled up. His absence allowed the Panthers (0-2) to build momentum of their own heading into halftime. 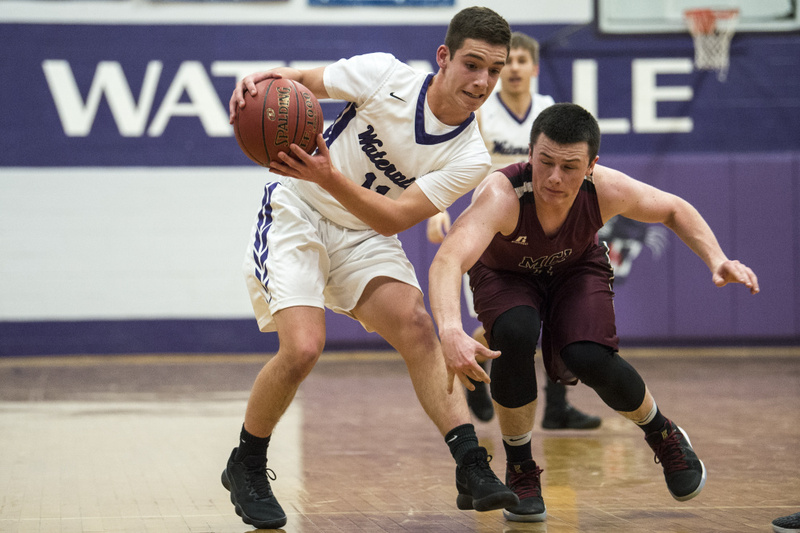 Junior guard David Barre was one of two Waterville players to register double-doubles in the loss, collecting a team-high 16 points and 10 rebounds. Classmate Jack Lloyd finished with 13 points and 10 rebounds, grabbing most of those with Valverde on the bench. Lloyd was a big factor for Waterville, which trailed MCI 35-27 at halftime. He kept the Panthers within striking distance while Barre began to find his shooting touch. Barre struck for eight points in the third quarter alone, scoring all but two of the Panthers’ points in the period. As good as the one-two punch of Barre and Lloyd proved, Williams did what he needed to do for MCI with Valverde glued to the bench. He scored 11 of his 23 in the second quarter — including a pair of layups in transition off steals. 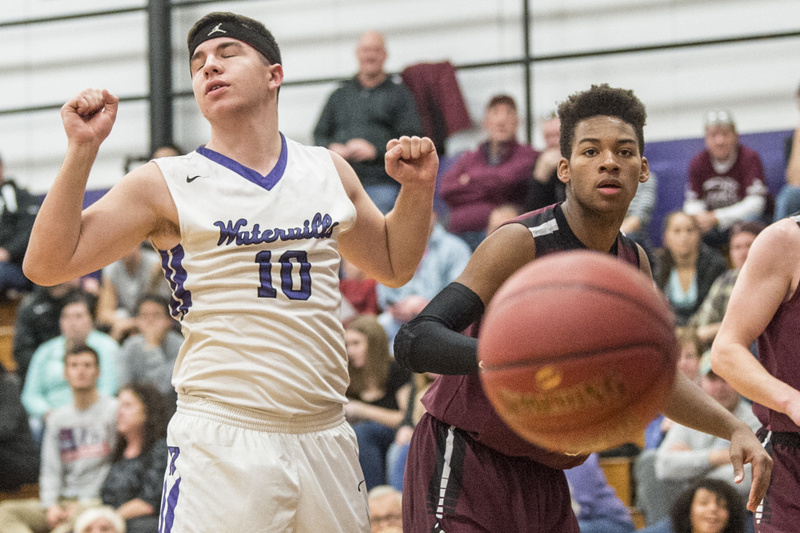 Williams efforts kept Waterville at bay until Valverde (eight points, five rebounds) got himself going in the second half. By that time, the Huskies had begun to wear down Waterville, which only went six players deep in its rotation. When the Panthers needed energy most, after pulling to within 53-47 with 1:22 remaining courtesy of two Barre free throws, they were out of gas. 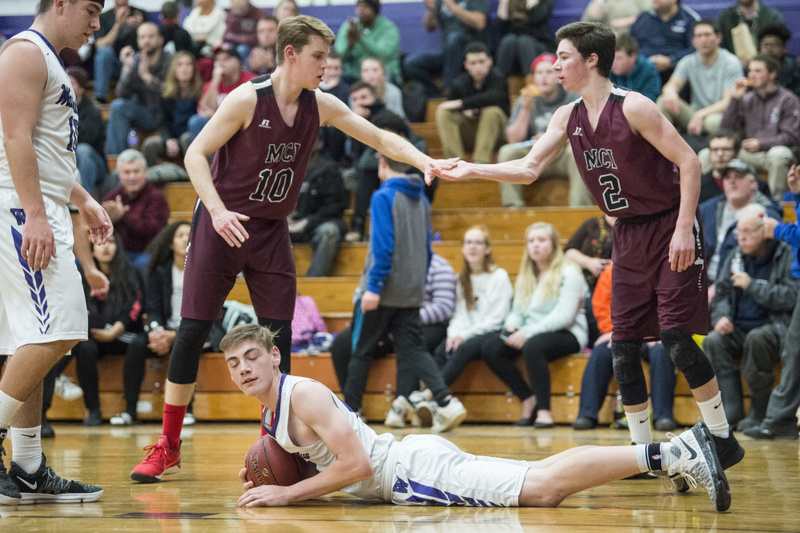 MCI used a total of 10 players, weathering the foul trouble several found themselves in. Valverde’s emergence over the final 16 minutes was key.